GSN supports small surfing businesses and recently we have decided to create a new feature within our website that will introduce new and established small businesses that are owned by surfers who provide quality products and/or services. We encourage our supporters and customers to support these featured companies by contacting them to learn more about what they offer. Share this information with all of your friends. Enjoy surfing more. Beach Break Surf Adventures is located on the Outer Banks, North Carolina. We know that you'll enjoy his story - we certainly did. He is located in South Nags Head and his personal story will stoke any surfer regardless of their experience level. Learn to surf in great waves - Prescott is anxious to teach you. Beach Break Surf Adventures provides the traveling surfer and family a unique Outer Banks surfing experience! We offer guided surf tours of Hatteras Island and customizable surf lessons that can be conducted right at your cottage. The guided surf tours will provide the traveling surfer a local guide and transportation to get dialed into conditions more quickly, and are given on a daily basis departing and returning when guests and guides agree. The surf lessons will give the new or intermediate surfer the knowledge and confidence to begin or continue surfing on his/her own, and can be given right at your cottage or an agreed upon location by guests and instructors. Our services are offered to all Outer Banks guests and residents from Corolla to Hatteras Island from April until November. All guides and instructors are CPR and First Aid Certified, Boat Safe Certified, insured, and accomplished surfers of many years and mutiple locations worldwide. Question #1 How And Why Did You Start Your Business? I saw a need in the Outer Banks surfing market. I really wanted to pursue my dreams of being able to spend as much time in the water as I could, meet fellow surfers, and teach and coach people in general. AND, I was laid-off this past Spring 2009 from my previous employer due to downsizing, so I had some options. I've been to some really good surf spots around the world and I would not have scored some of the waves I did without a local guide. The surf around here is world class and if you don't know where and when to go surf on the Outer Banks,especially, Hatteras Island it can be overwhelming to the first time surf traveler. My previous job allowed me the liberty of getting to know the Outer Banks intimately from Carova to Ocracoke for delivery purposes, and a surfboard was ALWAYS in tow. There are no real options for a surf guide on the Outer Banks, like the kayak tours, fishing charters, horse/pony tours, etc. I also wanted to provide a better surf lesson option than what I thought was available out here. Most of the surf shops have lessons and I believe they do a good job but they also have other stuff to worry about, like clothes and gear. I wanted to concentrate on each individuals needs and really giving a better lesson than what I feel is available. 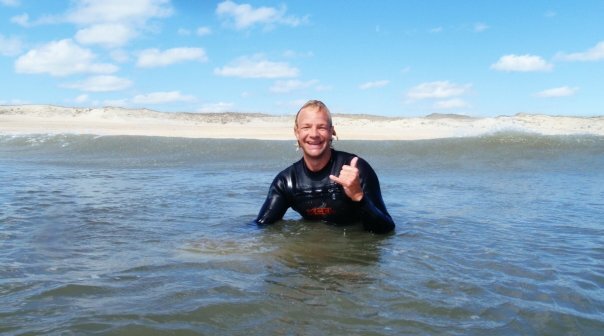 John Van Lunen of Kitty Hawk Water Sports in Nags Head allowed BBSA the opportunity to fill their surf instructor positions this past summer and had nothing but positive feedback. During this period I realized Beach Break Surf Adventures is really what I want to do. Question #2 What Products/Services does BBSA offer? Beach Break Surf Adventures wants to provide the traveling surfer and family a better option for surf guides and surf lessons than what is previously provided on the Outer Banks. BBSA wants to provide the full Outer Banks experience, historical background of the area, freedom of not driving, and keeping customers dialed in to the surf and total area happenings and all that the area offers. During our exclusive and unique guided surf tours we'll provide some snacks(usually fuit, granola and energy style bars) and cold sports drinks and water. Lessons are geared on preparing the individual for the whole surfing experience. We teach all aspects of surfing like; the ocean and weather conditions, gear, surfing fundamentals, and most importantly - how much fun the overall surfing experience can be. Any tour or lesson has the option to hire a profesional phorographer or videographer. By next season, Spring 2010 we hope to have all brand new equipment for any skill level, custom rash guards, for all BBSA clients, and some BBSA merchandise. We can also be a good reference point for traveling surfers. We know where the best surf shops are, the best ding repair guy is, the best places to eat and drink, and the best accommodations to stay are. We even offer an airport pickup and drop-off service. Will your company, although new, be active in community coastal projects? If so, How & Why? YES! By 2010 we plan on beng very active members in the local chapter of the Srfrider Foundation, Outer Banks Preservation Association, Global Surf Network, Adopt - A - Beach Program, Eastern Surfing Association, and, hopefully as well, Surfers for Cetaceans and 1% For the Planet. I am also on the Collared Greens Athletic Team who have been super supportive and are a very positive and progressively environmentally conscious group to work with, check their stuff out at www.collaredgreens.com. We here at Beach Break Surf Adventures believe that our ocean is at risk of severe pollution and cleanliness problems and all of us need to take care of it. One of our goals is to be a leader in environmentally conscious business decisions locally and globally. Which, around here, directly involves our community as a whole. We will continue to support recycling, carbon offsetting, and the need for newer sources of energy, as well as local beach clean ups and community functions and projects. Thank you for the opportunity of featuring your business to our customers and supporters both locally and globally. We selected your company because of its character and professionalism. GSN believes strongly, in fact, we know that globally small surfer owned businesses can an do make a difference, a real difference in coastal programs, be it, environmental in nature or the even more important 'beach access' issues that are facing active waterpersons worldwide. your 'creative guided surf tours' to everyone we meet during our travels. 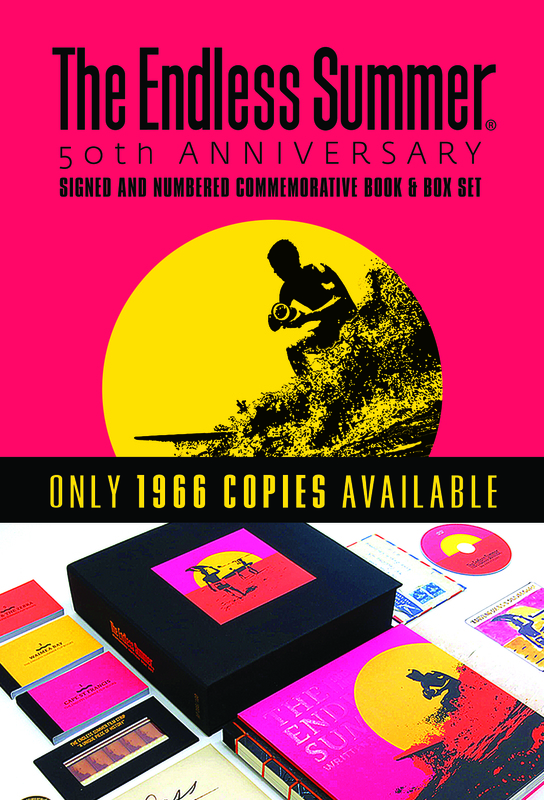 In closing to our customers and supporters please consider linking Beach Break Surf Adventures to your website and share this information with all of your friends.